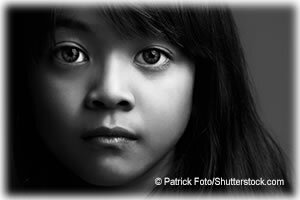 Child abuse and neglect is one of the nation's most serious concerns. In federal fiscal year (FFY) 2017, an estimated 1,720 children died due to abuse and neglect, according to data from the National Child Abuse and Neglect Data System (NCANDS). Overall, Child Protective Services (CPS) agencies received a national estimate of 4.1 million referrals regarding abuse involving 7.5 million children in FFY 2017. For the children involved in these referrals, the negative outcomes of abuse are wide-ranging. Child abuse is associated with lower school achievement, juvenile delinquency, substance abuse, and mental health problems. Federal legislation provides a foundation for states by identifying a set of acts or behaviors that define child abuse and neglect. But each state has its own definitions of child abuse and neglect based on these standards. Most states recognize four major types of maltreatment: neglect, physical abuse, psychological maltreatment, and sexual abuse. Although any of the forms of child maltreatment may be found separately, they can occur in combination. Child maltreatment prevention efforts have grown and changed substantially over the last half century with growing recognition that child maltreatment is a substantial public health concern as well as a serious social problem. Efforts have moved beyond a public awareness approach to one that emphasizes the vital role of community, early intervention services, and caregiver education to help keep children safe from abuse and neglect. Child fatality review teams have emerged as a useful approach to help communities accurately count, respond to, and prevent these as well as other preventable deaths. Review teams respond to the issue of child fatalities by improving interagency communication, identifying gaps in community child protection systems, and acquiring comprehensive data that can guide agency policy and practice. The Office of Juvenile Justice and Delinquency Prevention and the Office for Victims of Crime are committed to improving the response to child abuse and services for all victims of crime, including victims of child abuse and neglect. Additionally, NIJ has funded a range of research that expands our understanding of children's exposure to violence, both as direct victims and bystanders, and informs the development and enhancement of strategies to reduce the impact of violence on children and youth. Despite the violence and abuse that some youth may have already experienced in their short lives, children are resilient. Every person in a child's life can play a role in helping to protect them and help them heal.